Vote for E3Live in the Best of Raw Awards! It’s Award Season again! We love that you love E3Live. 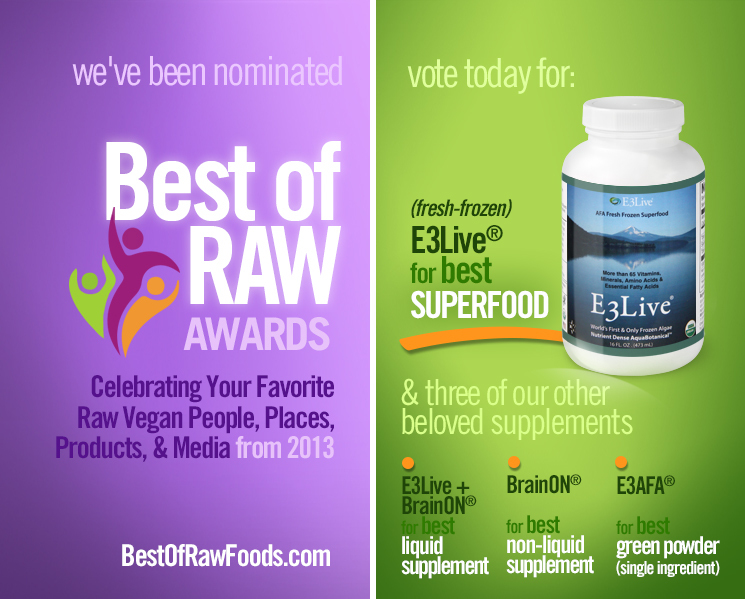 Help spread the word about E3Live — nature’s most beneficial superfood — by voting for us in FOUR different categories in the Best of Raw Awards for 2013. Click the link below to enter the voting portal on the Best of Raw site, then choose each category from the drop down menu (may need to sign in first), then vote for E3Live products in each of the 4 categories, thanks so much in advance for your support! Voting closes Jan. 8, 2014.